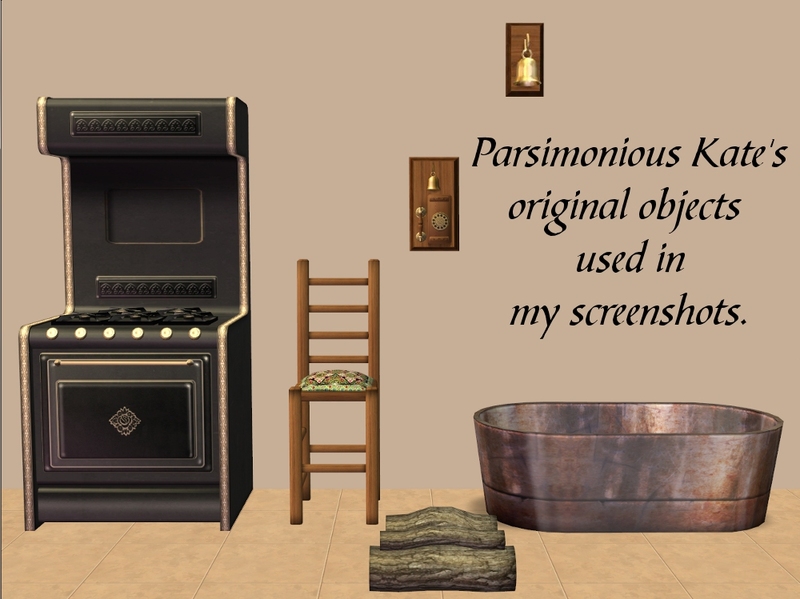 FIXED: Thanks to roxmaniac for reporting the problem with the kitchen island counter, it has now been fixed by Kate at Parsimonious. 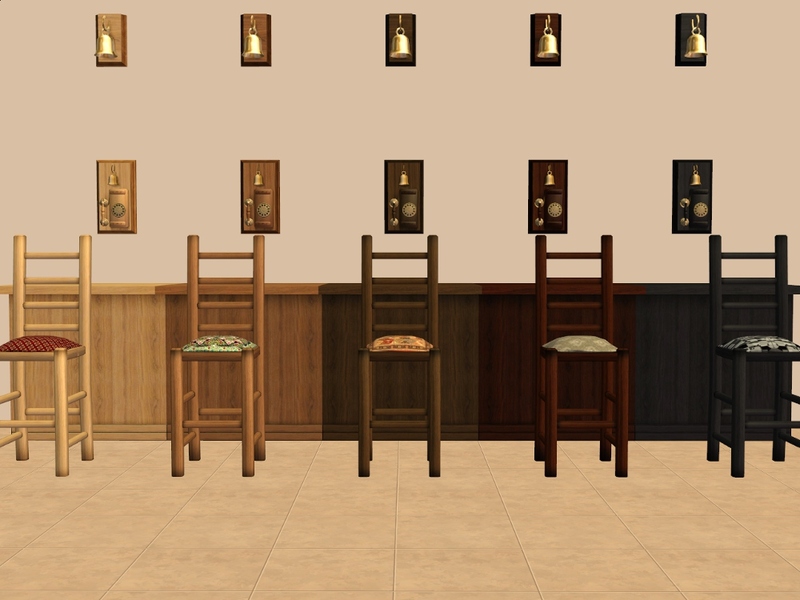 You can find the fixed file in the download section. 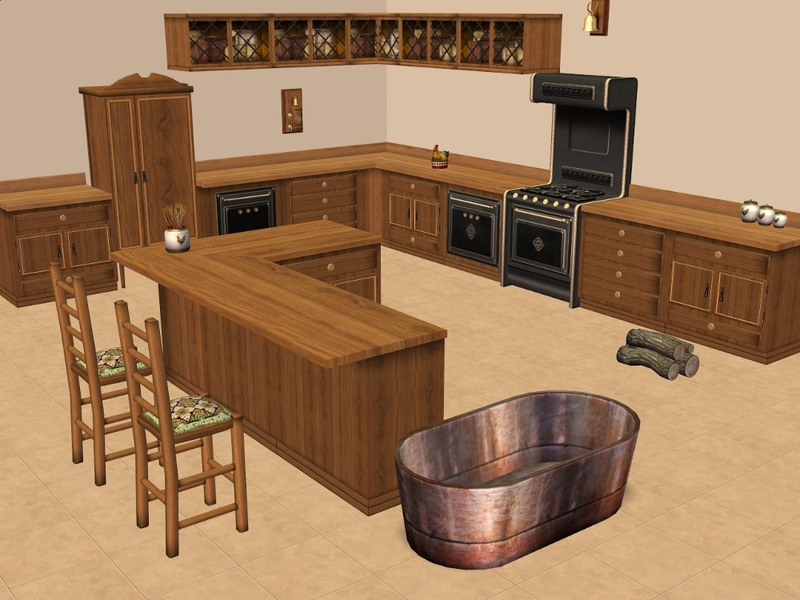 Because it's a BHAV fix, any instances people already have in their games will continue to revert even if they replace the original file until such time as they delete and re-buy the island counter in game (at which point it starts running the updated BHAV and the problem goes away). 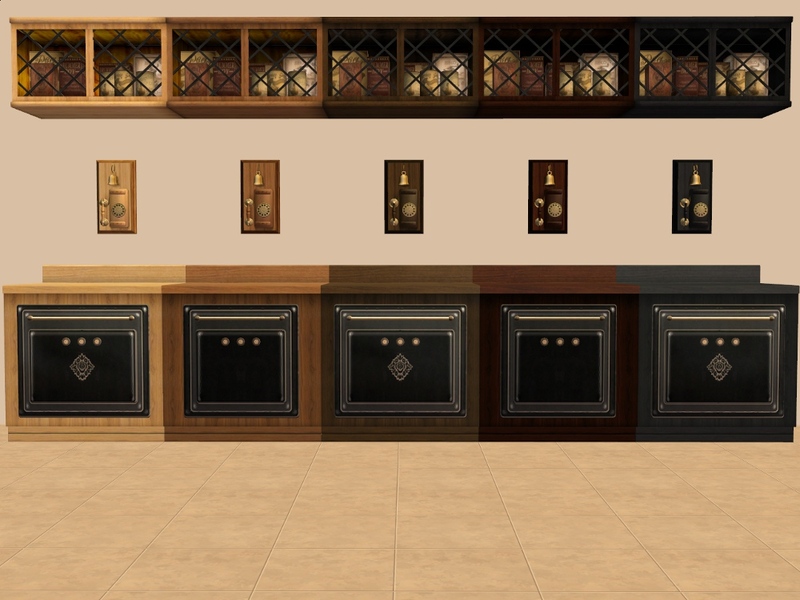 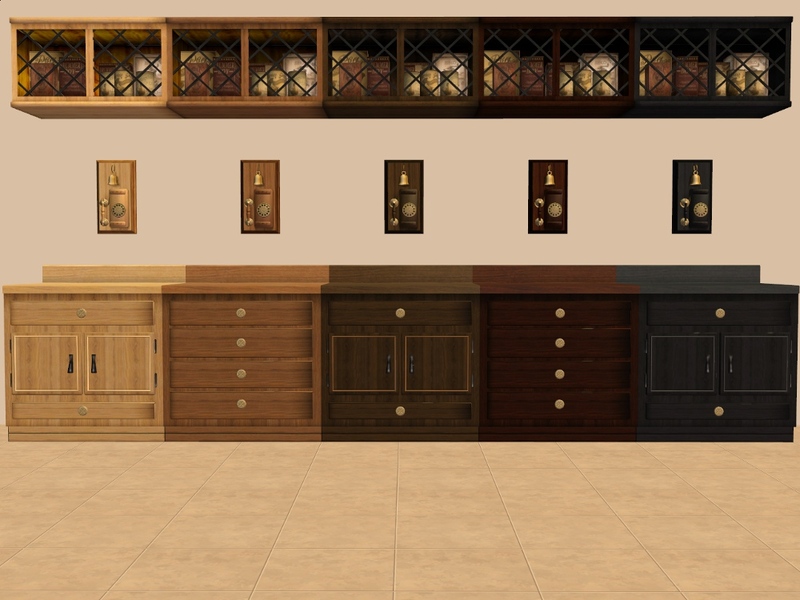 Ash, Black Cherry, Chocolate, Ebony & Kate's Wood recolours, of Parsimonious Kate's 'Woodcutter Kitchen' - Stool - Counters - Counter Island - Dishwasher - Over Counter - Smoke Alarm - Telephone - Bathtub - Logs - Base and Seasons Trash Compactor - Base and Seasons Pantry/Fridge. Many thanks to the very talented Kate for creating this beautiful kitchen and wood texture. 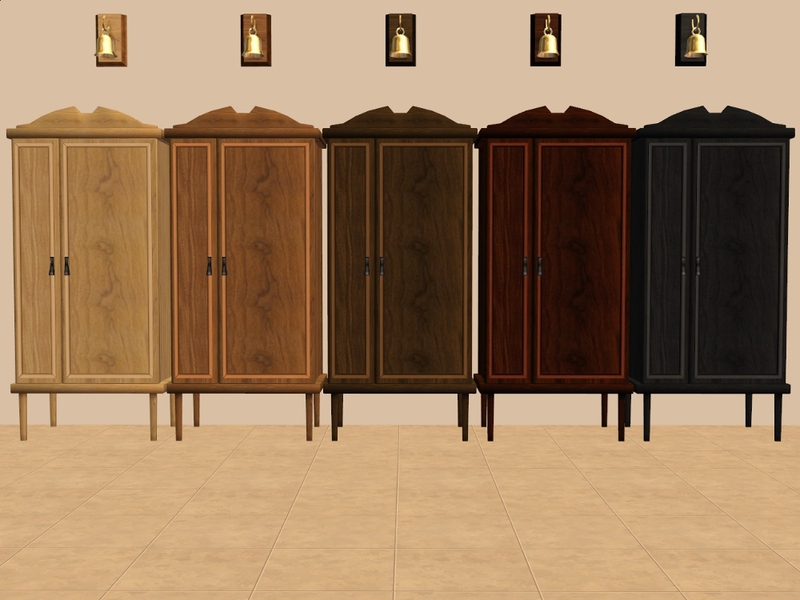 I have included separate zip files for each recolour as well as 1 file with all recolours for your convenience. 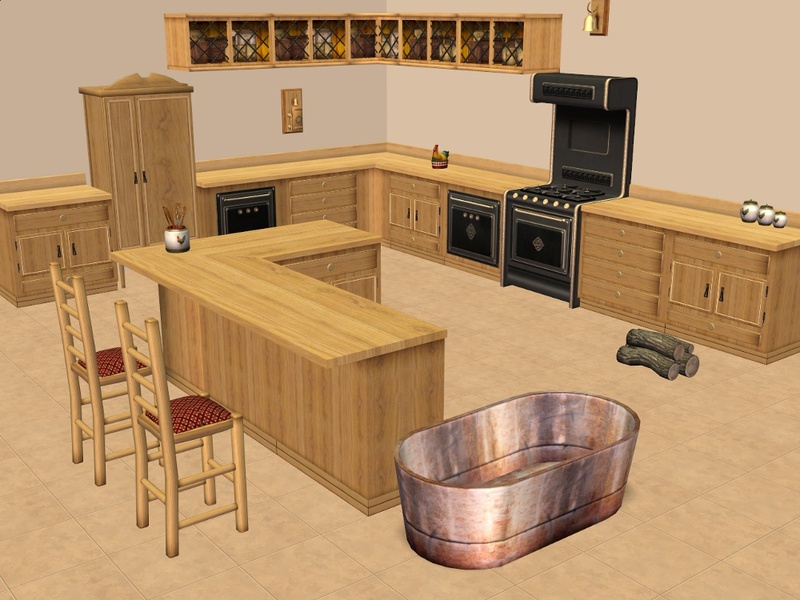 'Woodcutter Kitchen' MESHES by Parsimonious Kate are included with permission. 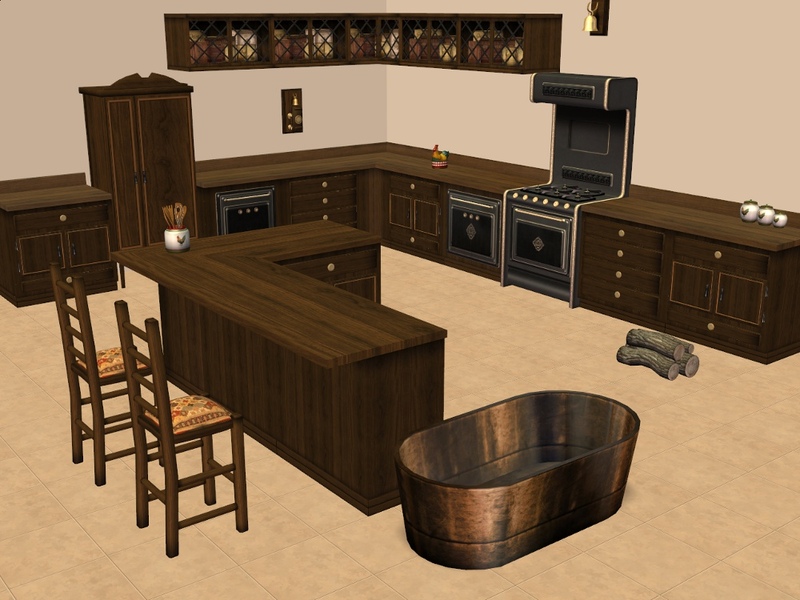 Tags: #kitchen, #counter, #island, #bath, #tub, #drawers, #fridge, #trash compactor, #dishwasher, #smoke alarm, #alarm, #phone, #telephone, #logs, #chair, #barstool, #ash, #black cherry, #chocolate, #ebony.